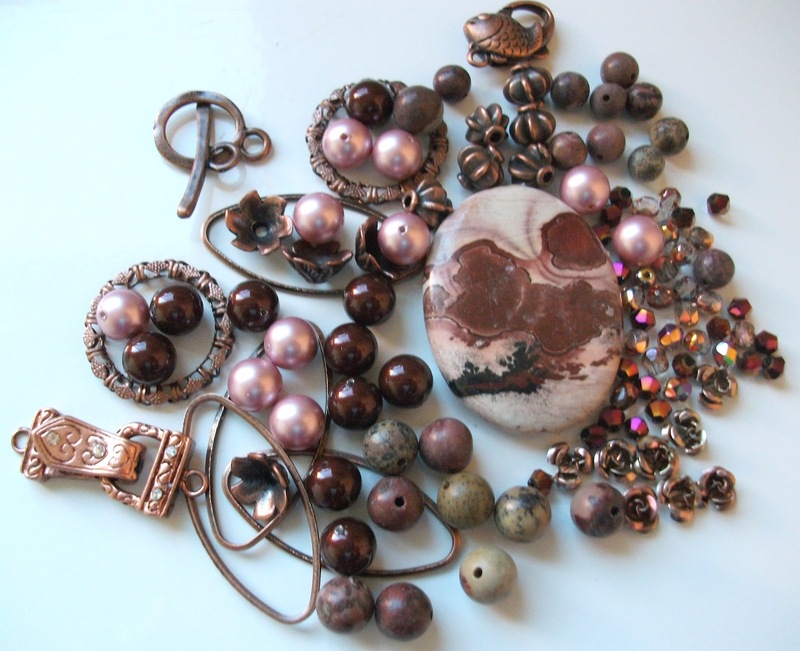 I felt so spoilt when the package arrived the other day containing the bead soup from my lovely partner in Hungary. I adore the colour combination and haven't been able to stop thinking about what I want to do with these beads. Anyway, below there is also the unedited version of what I sent to Eva, but you can also view it at her World of Pearls.